It’s odd to think the Ottawa REDBLACKS, as competitive as they’ve been since arriving in the league, just posted their second winning season in their five-year history. Especially when you also consider the year they won the Grey Cup in 2016, Ottawa finished the season with an 8-9-1 record. As for the 2018 season, they did much better with an 11-7 record. Unfortunately for the REDBLACKS, their season came just one victory short of bringing another championship to the nation’s capital. This off-season brings a lot of questions to be asked and answered by both Marcel Desjardins and Rick Campbell as they look forward to the 2019 season, tackling the first obstacle in any season’s preparation, and that’s who they feel they need for their opening day roster. As we reach the end of December, the initial list of pending free agents has slowly been reduced as teams across the league negotiate contracts with players who would have otherwise been set to hit the league’s open market come February. 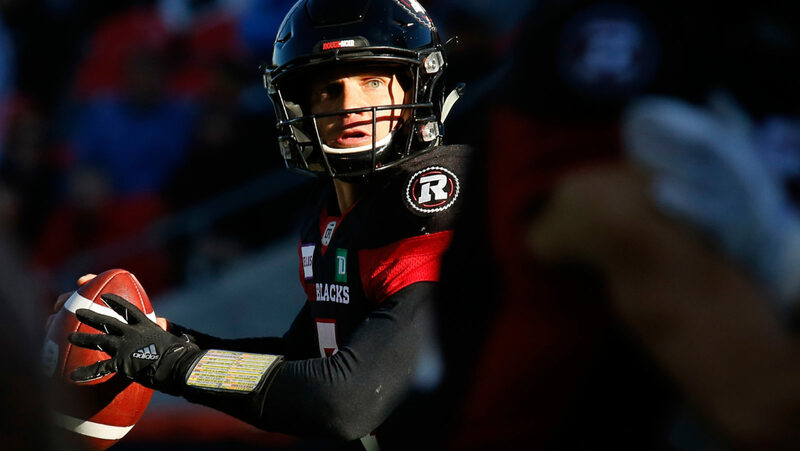 We take a look at what Ottawa faces ahead of the 2019 CFL regular season in the REDBLACKS edition of Off-Season Outlook. 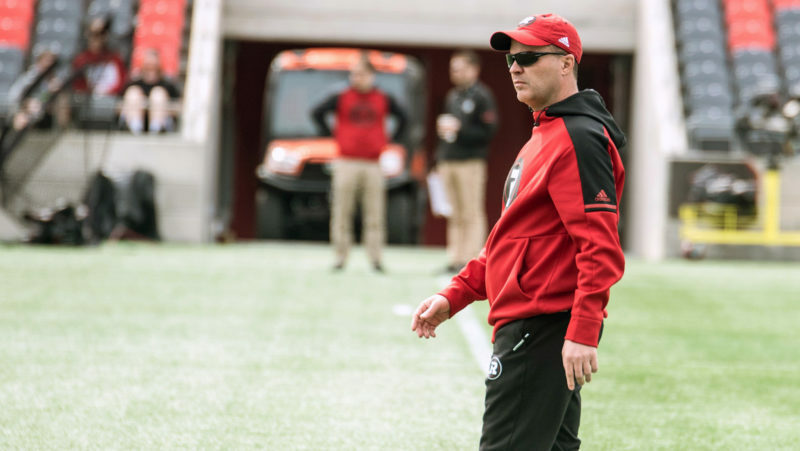 The questions surround the offensive side of the ball with many of the REDBLACKS’ core personnel being pending free agents. Marcel Desjardins has done a truly remarkable job with piecing together this team since becoming the general manager of the Ottawa REDBLACKS before their inaugural season in 2014. Since then, Ottawa has ventured to three Grey Cup appearances, and that’s in large part to Desjardins and his ability to bring in quality talent and develop unknowns into stars. 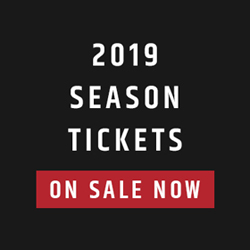 Coming off of a season in which he was the East Division’s nominee for CFL Coach of the Year, Rick Campbell posted just his second winning season as head coach of the REDBLACKS. 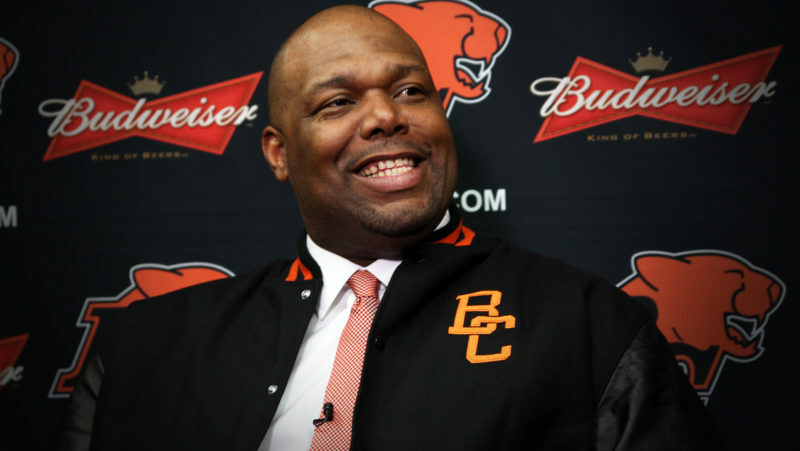 Since arriving in 2014 for Ottawa’s return to the CFL, Campbell has worked well with Desjardins in ensuring the organization is fielding a competitive team and one that has consistently been one of the most dominant coming out of the East Division. As the off-season gets underway ahead of the 2019 season, Campbell will be hoping Desjardins can do his part in bringing back some of the key talents, while also bringing in potential difference makers from free agency like Derico Murray did in 2018. As pointed out, the list of pending free agents for the Ottawa REDBLACKS is a bulk of their key players, especially on the offensive side of the ball. Marcel Desjardins will need to decide on whether he feels Trevor Harris is the quarterback this franchise needs to bring them their second Grey Cup championship. Decisions will also need to be made when it comes to the rest of some of the skilled positions on offence. William Powell currently sits as a pending free agent for when February rolls around. Both Greg Ellingson and Diontae Spencer are two high-profile receivers who may hit the market if they go unsigned by Ottawa, however, it’s hard to believe that the REDBLACKS would let both go, so expect one to return if not both. Key members of the offensive line are also set to potentially hit the market. Jon Gott further solidified his position as a fan favourite in 2018, and SirVincent Rogers has maintained himself as one of the top tackles in the league. Both will be in need of new contracts if Ottawa hopes to retain their services along the trenches. Defensively, Chris Ackie is due for a new contract after joining the REDBLACKS halfway through the season with a trade from Montreal. His presence along the defensive secondary aids in the ratio and is certainly one of the best Canadian defensive backs in the league. Derico Murray made an immediate impact for the REDBLACKS after joining them the season after winning the Grey Cup with Toronto, and Kyries Hebert has revolutionized his career in the nation’s capital. All three are among some of the defensive assets that contributed to the REDBLACKS fielding the strong defence that they did this past season of which are listed as pending free agents. You have Brad Sinopoli headlining this crew of national talent following a year in which he set the season record for most receptions by a Canadian (116), passing Ben Cahoon’s mark set in 2003. The 30-year-old also went on to beat out Winnipeg’s Andrew Harris to be crowned the league’s Most Oustanding Canadian for the 2018 season. The REDBLACKS may enter 2019 with two of the league’s best Canadian defensive backs in Chris Ackie and Antoine Pruneau (though Ackie has played more WILL linebacker in his career). With Pruneau missing much of the regular season due to injury, and Ackie not joining the REDBLACKS until late in the season, the off-season could very well aid in getting the two back in a comfortable situation. Perhaps the best Canadian story of the 2018 season was that of Lewis Ward. From his time over a year ago as a security guard at TD Place Stadium in Ottawa to then winning both the Most Oustanding Rookie and Special Teams Player of the Year award was a feel-good story all of us could appreciate and get behind. Just like the 51 field goals he made in 2018. 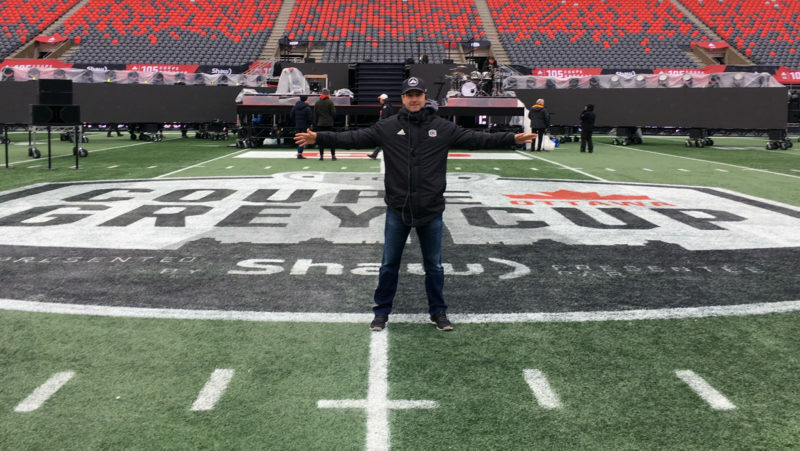 Trevor Harris is coming off of a year in which he ranked fourth in the league in passing yards (5,116) and posted a 2:1 touchdown to interception ratio while reaching his first Grey Cup as a starter. Now, as Harris is listed as a pending free agent, the quarterback position is under question as Desjardins will decide on whether Harris is the quarterback Ottawa needs, or whether they take their chances on the open market come February. Dominique Davis also proved his skillset for Ottawa as he developed a knack for creative plays out of short-yardage packages. Davis finished the season tied for the team lead in rushing touchdowns with six. They have the Canadian depth at the running back position, but their big star in William Powell is looking for a new contract as he’ll be a big-name free agent if he doesn’t re-sign with Ottawa. Powell just narrowly missed the rushing title this past season, finishing the season ranked second with 1,362 yards on the ground. Powell was just one of three backs to reach the 1k mark this season. The receiving corps of the Ottawa REDBLACKS is arguably the identity of the team. With the buds in Brad Sinopoli and Greg Ellingson, along with Diontae Spencer, the REDBLACKS posted three receivers who eclipsed the 1,000-yard mark for the year. With a season that riddled the league’s receivers with injuries, Ottawa was the only team to reach such a feat. The offensive line is one of the positions of least concern when you consider just four players of the positional group are pending free agents. Jon Gott and SirVincent Rogers are easily to big-time linemen that you want to get re-signed, especially with the situation at quarterback unsure as of right now. AC Leonard led the group in quarterback sacks, finishing the season with six registered to his name. Michael Klassen followed with four. If the REDBLACKS are able to get Leonard and/or Klassen re-signed, they will have back the defensive linemen who took the brunt of the work along the trenches this past season. Another positional group which the REDBLACKS are in a good position with the majority of their linebackers being under contract. However, Ottawa does have two 50-tackle players potentially heading to the market if they’re unable to extend their contracts. Rico Murray tied for the team-lead in interceptions (5) and Kyries Hebert did his part in patrolling the middle of the field for Noel Thorpe’s scheme. Bringing back Chris Ackie would only help the REDBLACKS with the ratio, but also he’s one of those players that is versatile enough to play safety of line up as a linebacker as he did so often as a member of the Montreal Alouettes. 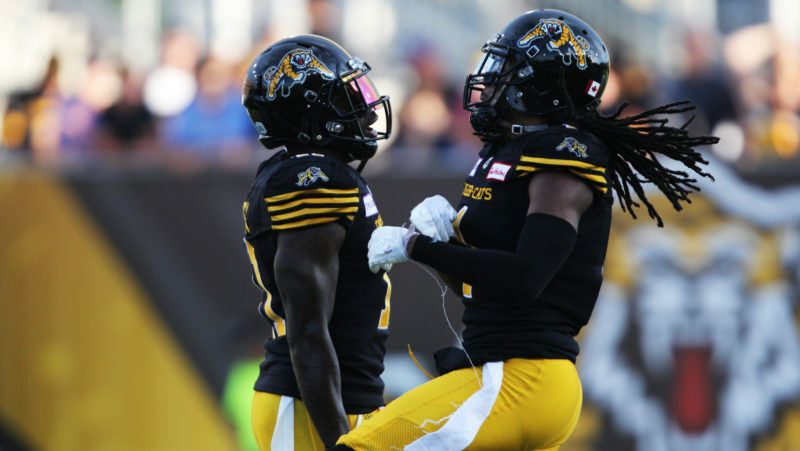 Jonathan Rose is another asset the REDBLACKS need to consider bringing back as he tied for the team’s lead in interceptions (5) with Rico Murray.